James Shipka, Spectre Driver and International Racer, comes away from OSUSC Pike's Peak with the OUSCI Invite. 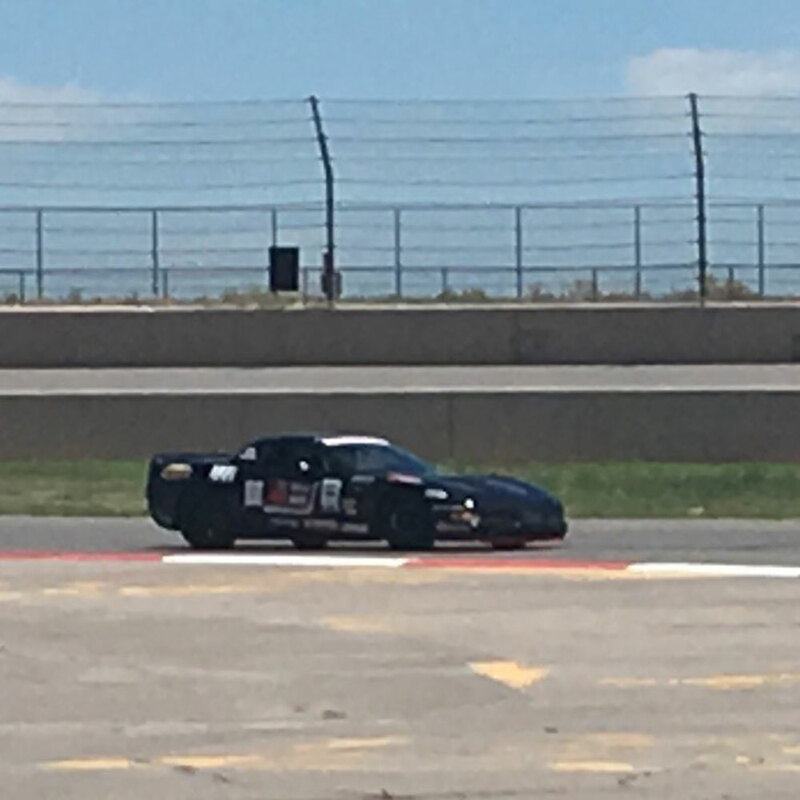 A picture perfect day for racing as OPTIMA Search for the Ultimate Street Car descends upon Colorado's picturesque race venue, Pike's Peak International Raceway. 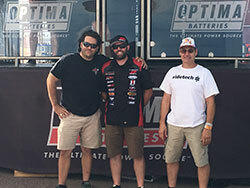 OPTIMA's Search for the Ultimate Street Car (OSUSC) presented by Advance Auto Parts, descended upon one of the nation’s most beautiful locations in the series, Pike’s Peak International Raceway (PPIR) located in Fountain, Colorado. Less than 10 miles south of Colorado Springs, home of the Pike’s Peak International High Climb, this area has seen a lot of action in the past few weeks and was happy to see more. Participants came from all over the United States, including one from Alberta, Canada. With a field of 56 participants divided into 4 classes, GTV, GTL, GTS, GT, this was some of the best competition this series has seen with loads of seat time for the competitors. Competitors accumulate points throughout the season, taking from their top three events, for a points champion to be crowned. 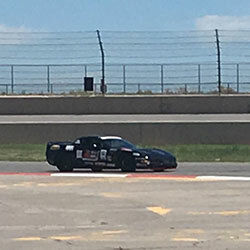 As a result of less than desirable weather at New Jersey Motorsports Park, we saw a few participants going the extra mile to make up for their losses earlier in the season. Brian Hobaugh, GTS Class points leader, taking a moment to reflect and strategize at PPIR. Jake "The Kid" Rozelle reaching speeds of close 130 MPH on the road course. Higher temperatures and elevation played a part in how the participants planned for the 2-day event that could help stack on some serious points for those chasing the OSUSC Championship. The drivers that were real standouts were those drivers that planned ahead. Understanding that the elevation could affect their motors power, car prep is essential to offset potential problems. The drivers would also need to stay hydrated. All this time and attention for a chance at the invite. The coveted “Invite”. 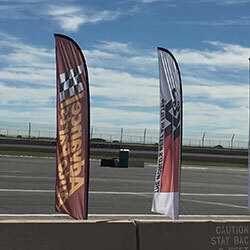 This year OSUSC features 10 events around the nation where participants would compete for an invite to the grand finale - OPTIMA Ultimate Street Car Invitational. Only 5 invites are awarded at each event, one invite for the 1st place finisher in each class, plus the Spectre Performance Spirit of the Event invitation awarded to the driver who embodies the spirit of this racing series. OPTIMA Ultimate Street Car Invitational, conceived in 2008, takes place at the Las Vegas Motor Speedway at the close of the SEMA Show in Las Vegas. One hundred worthy cars and drivers are invited to compete to see who and what will be crowned as the victor with the Ultimate Street Car. 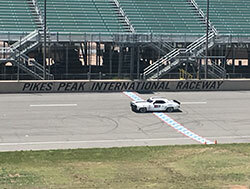 With ten events in the 2016 season, Pike’s Peak marked the midway point of the season. The outcome of this event would prove to be pivotal for those in the championship chase. 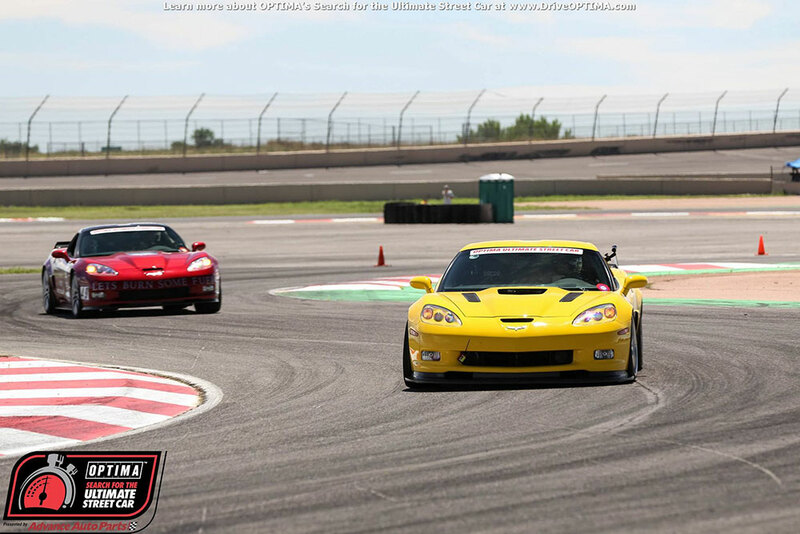 GTL Class Winner and Points Leader Rich Wilhoff on the road course pulling away from the competition. Driver Brian Hobaugh, pushing his Z06 to the limit even with his ABS brake issues. 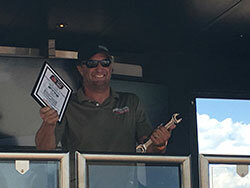 One of the OSUSC drivers, Jake Rozelle, pulled off a three-peat at PPIR. Rozelle has proven he is the one to beat in the GTV Class this season. 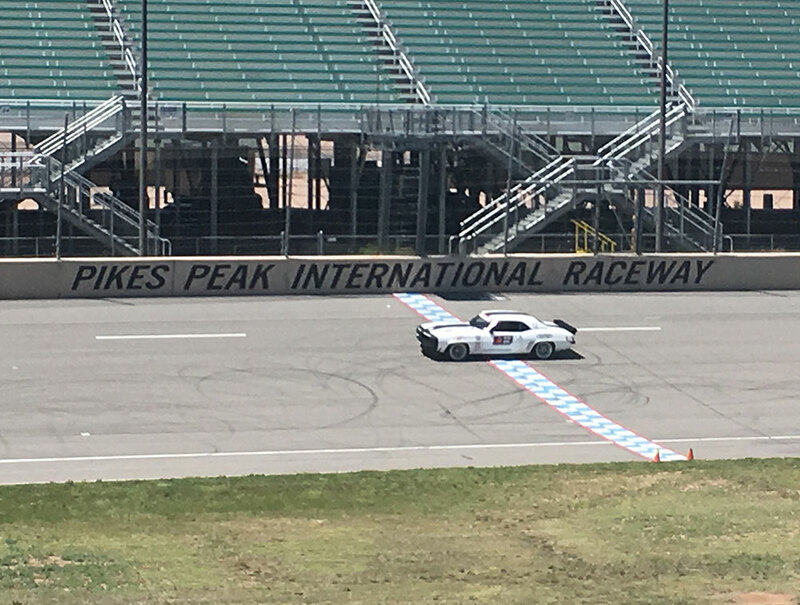 Pike’s Peak was Jake’s third event of the 2016 OSUSC season and he is leading the points race with 1,417 points in the GTV Class. When we caught up with Jake he said he was very happy with his 3rd place overall position along with placing 1st at Pike’s Peak. He was seriously stoked with the performance of his 1969 Camaro, seemingly unphased by the heat and higher elevation. Rozelle considerably opened the gap between he and Larry Woo who is currently second in GTV Class with 880. Woo couldn’t make it to PPIR but we will see these two battle it out at Circuit of the Americas in Austin, Texas in early August. Since Rozelle had already received the OUSCI Invite at the season opener at Thunderhill in Northern California, Canadian, James Shipka and his 1967 One Lap Camaro was awarded the invite from the GTV Class. The GTS Class with a mere 13 participants had some fierce competition. Corvettes made up the majority of the field but throw in 2 Vipers, a Lancer Evo, and a Nissan GT-R and it’s safe to say this class saw some serious action. 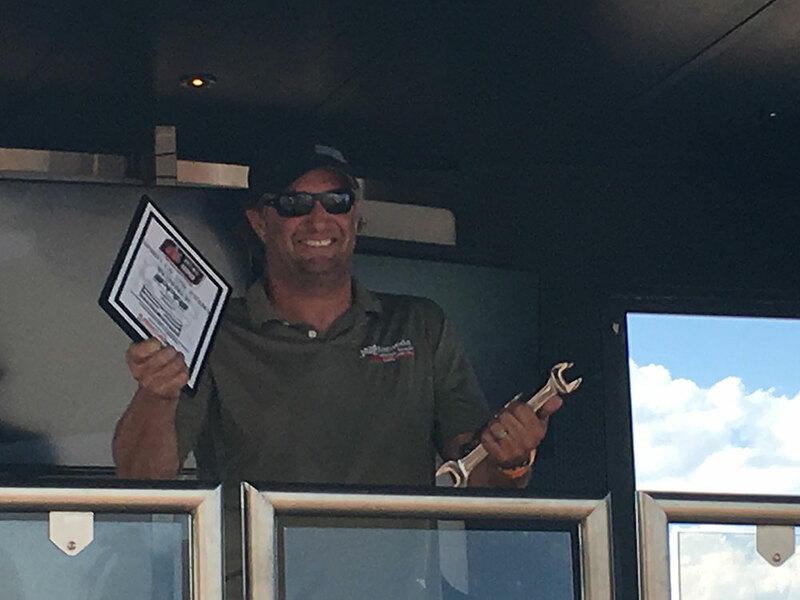 We spoke to 2013 OUSCI Winner and 2016 OSUSC GTS Class points leader, Brian Hobaugh and he shared that he was keeping eyes on Lynn Proctor and Glen Barnhouse as the weekend progressed, as these were the guys to beat. As if foretold by a psychic, Brian would share the podium with these two gentlemen with Glen in 1st Place with his 2012 Chevrolet Corvette Grand Sport, Lynn in 2nd Place in his 2005 Dodge Viper, and Brian coming in 3rd place in his 2003 Chevrolet Corvette Z06. Brian suffered a couple of mechanical setbacks that were quick fixes but we can’t help but wonder if the podium line up may have been different without these problems. John McKissick wins the Spectre Performance Spirit of the Event invite to OUSCI. Jordan Priestley takes the win at OPTIMA Search for the Ultimate Street Car in GT Class. 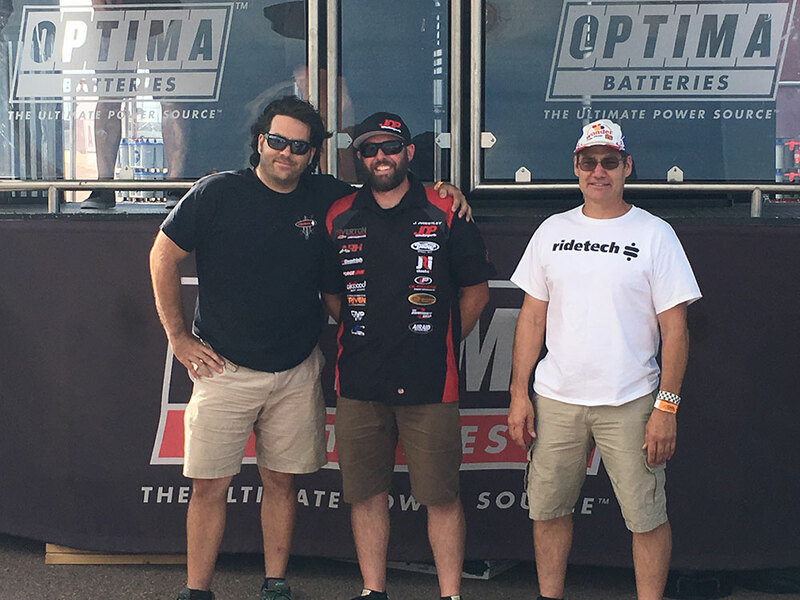 Both Brian Hobaugh and Lynn Proctor have already secured their invite to 2016 OPTIMA Ultimate Street Car Invitational. 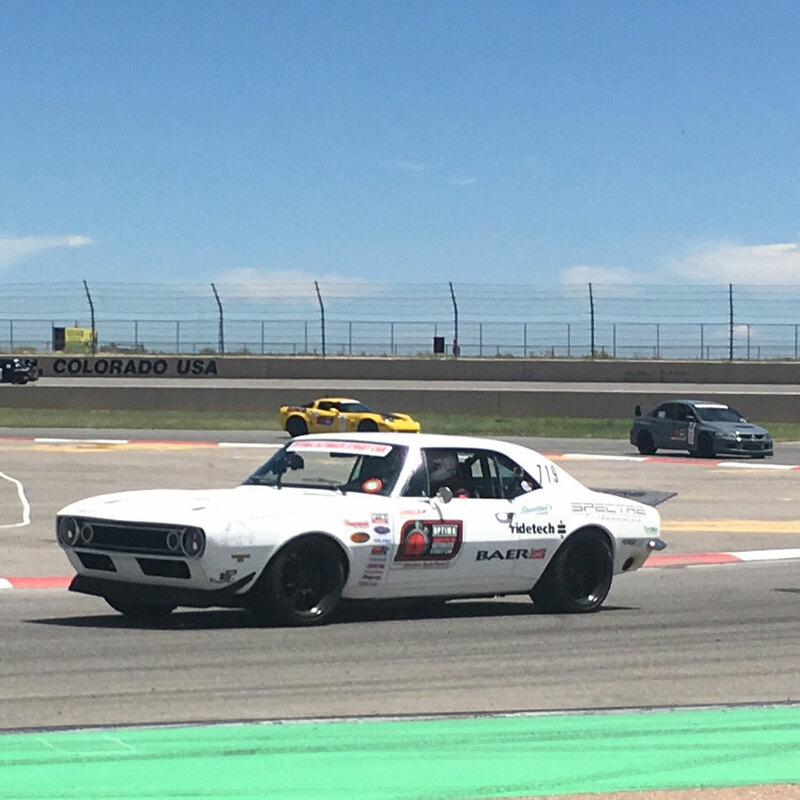 But the real story is that of Glen Barnhouse who walks away from Pike’s Peak with his first GTS Class win and the OUSCI invite. He has consistently been a judge favorite in the Lingenfelter Design and Engineering segment of the events. But Barnhouse’s prowess on the course is what ultimately earned him the well-deserved win and invite! 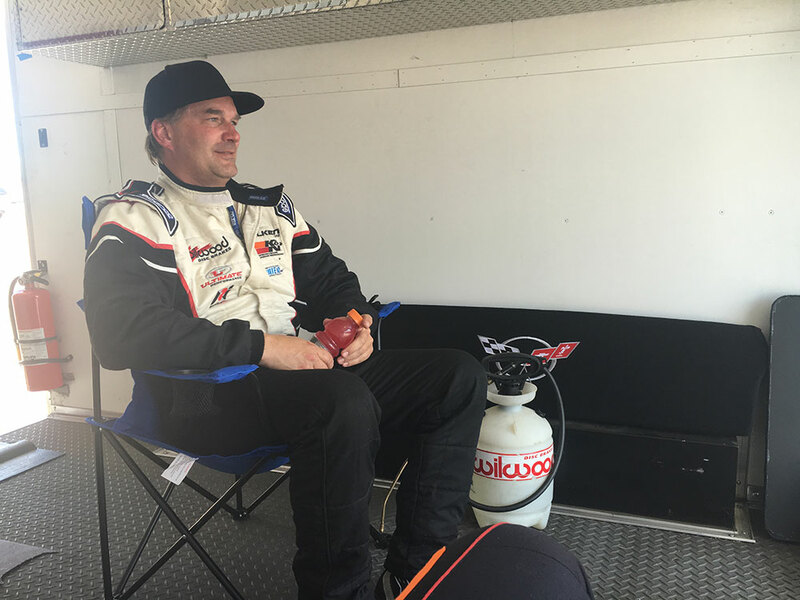 Lynn Proctor didn’t leave PPIR without enjoying a bit of his own success by narrowing the margin between he and class points leader, Brian Hobaugh to a slim 15 points, and we still have the second half of the season to go. If we are following the leaders for the points championship, we must recognize Steve Kepler’s fantastic 5th Place finish at Pike’s Peak that has moved him up in rank to 3rd Place in GTS Class. For the vehicles weighing less than 3200 pounds, the GTL Class is where you’ll find them. You may recognize the name Rich Wilhoff with his 2006 Chevrolet Corvette Z06 as being the dominant driver in this class. And yes, once again he proved he was the one to beat. He laid down scorching times, sweeping all three timed segments and walked away 490 points for the PPIR event, earning him the third highest score of the season behind Steve Kepler’s GT-R and Mike DuSold’s ’67 Camaro. Rich Wilhoff has expanded his points lead by almost 200 points and with several of the future 2016 events already sold out it may be difficult for anyone to catch him. Rich, along with fellow competitor Ken Thwaits have already earned their OUSCI invites and as such the OUSCI invite is to be awarded to the third place finisher. David Carroll and his LS-POWERED 1975 Datsun 280Z will be attending the 2016 SEMA/OUSCI show and challenge. Now let’s talk about the late model muscle cars in the GT Class. This class continues to be the most-popular in the series. Many of the cars are competition ready from the showroom floor and perhaps that’s what makes it the popular choice. Although many, like Jordan Priestley and his 6th Gen Camaro, find a few things to improve. Jordan shared that his win was hard earned. The field was full of very competitive driver’s including a series newcomer, Mark Legg in his BMW 1M Coupe. Legg is also an instructor at PPIR. Priestley had his work cut out for him. Priestley’s win got him ever closer in the points chase to Mitsubishi Evo driver, Ken Thwaits. However, Ken remains the class championship points leader by over 50 points. Jordan earned his invite to OUSCI early on in the season at Las Vegas Motor Speedway so this afforded 2nd Place, Cliff Elliott and his 2016 Ford Mustang GT the invite to OUSCI. And finally, a big shout out to John McKissick and his 1966 Ford Fairlane 500 XL as OPTIMA Search for the Ultimate Street Car Spectre Performance Spirit of the Event Award and Invite to OUSCI. John’s infectious personality couple with his willing and ready attitude to help a fellow competitor embodies what this series is all about. For more information about this series you can log onto www.driveusca.com. And be sure to check out the OPTIMA Search for the Ultimate Street Car on MAVTV where available every weekend starting Friday at 8PM.